As the new guy to the group, I did more listening than talking. 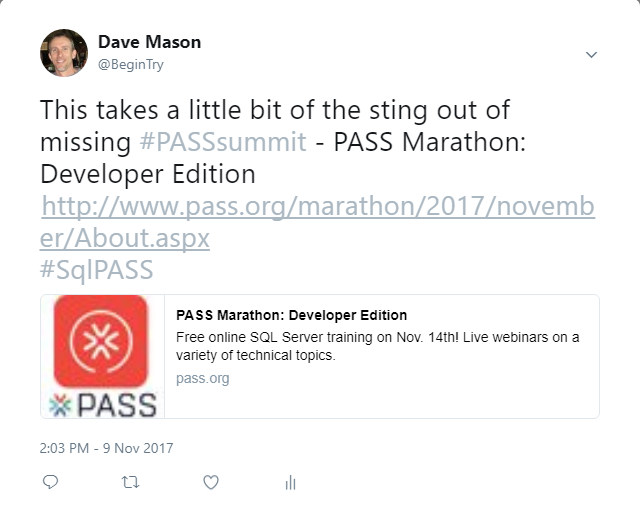 Looking back, and thinking about Andy's "SQLSATURDAY TOOLS" post, there's an easy improvement PASS could make to their website that would benefit SQLSaturday organizers, and all PASS stakeholders: add some meta tags to improve social media exposure on Twitter, LinkedIn, Facebook, Google+, et al. This is so much better. There's now a PASS logo image along with a title & description of the linked article. Those are all items PASS could control by adding Twitter Cards to their website. That's not as big a "win" as with Twitter, but you still gain the PASS logo image. It's my understanding that you'll have more control over the article title & description by using Open Graph meta tags. 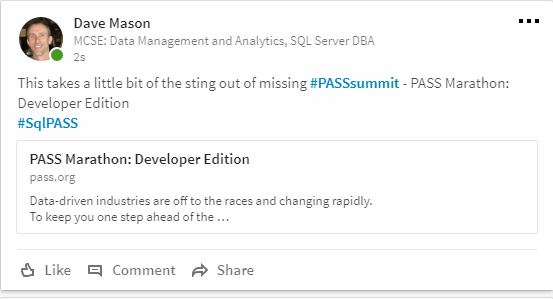 In the first image, LinkedIn "guessed" correctly--probably by grabbing the title from the HTML <title> element and the description from the content in the first <p> (paragraph) element. If PASS added Open Graph and Twitter meta tags to their site, it would benefit our attempts to promote the community on social media. 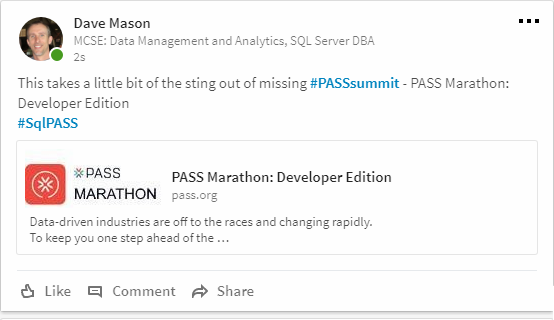 Just look at all the things we've got going: PASS Summit, SQLSaturday, 24 Hours of PASS, BA Marathon, Local Groups, Virtual Groups, etc. This is an easy "win" that helps all of us promote PASS--there may even be some SEO benefit too. I hope they consider my suggestion. 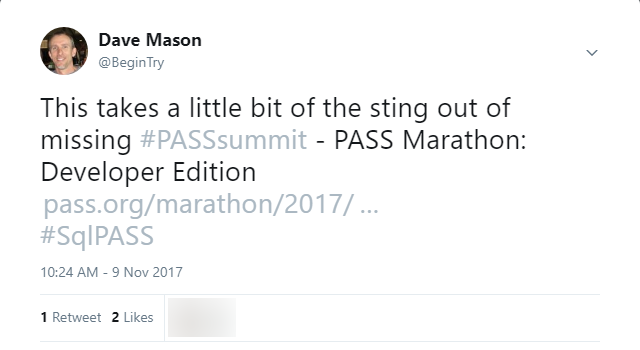 PASS has updated their website! I'm looking forward to promoting our wonderful events and news on social media. I hope you are too. This change has been implemented site-wide, thanks for the great suggestion!